A Director and two staff of Shehu Idris College of Health Sciences and Technology, Makarfi, have been reportedly kidnapped along Zaria – Makarfi Expressway, on Monday. The kidnapped staff was Mr. Elisha Damina Akau, Director School of Dental Science, Rabi’at Malami Dogo and Halima Rilwan. 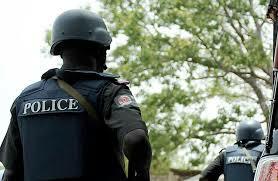 A source close to the school told DailyPost that the kidnapped staff were returning from Teejay Palace Hotel in GRA Zaria where they had attended their Board examination when they were accosted by the gunmen and whisked away to unknown destination. When contacted over the incident, the Sole Administrator of the school, Comrade Arrigasiyu said there was no contact yet nor any demands from the kidnappers. Meanwhile, the police command in the state is yet to react to the development at the time of this report.